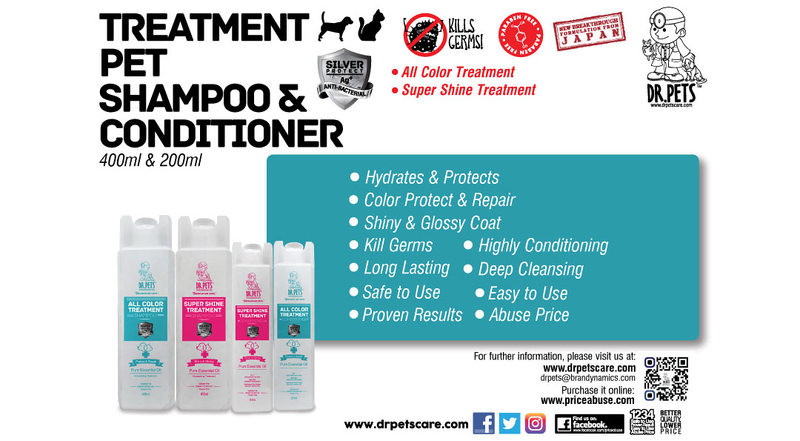 "Dr.Pet Care" is owned and operated by regional professionals with 40 years of combined pet and manufacturing experiences. 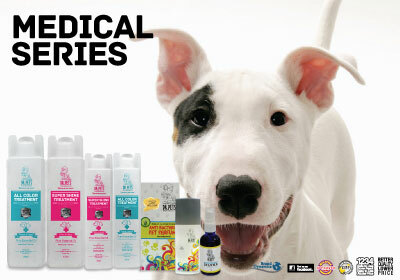 We have the ability to offer highest possible quality pet products and services at lowest shocking price. 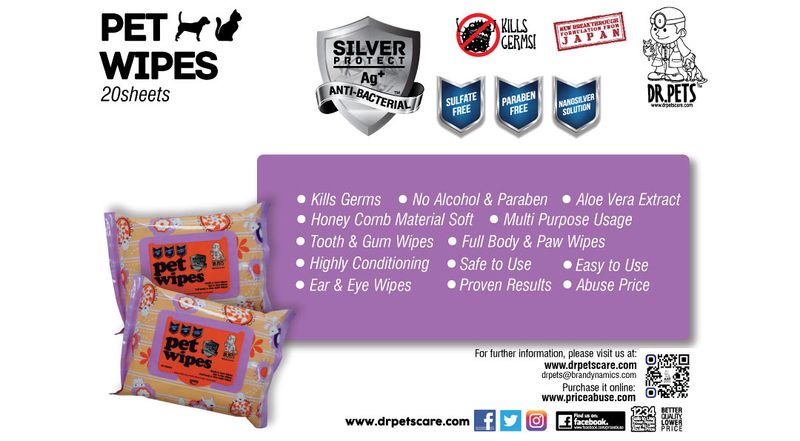 Our combined expertise had given us the ability to tap on the vast global network of latest pet products and services trend as well as our continuos quality improvement strategy in our very owned GMP manufacturing plant of 10 years. 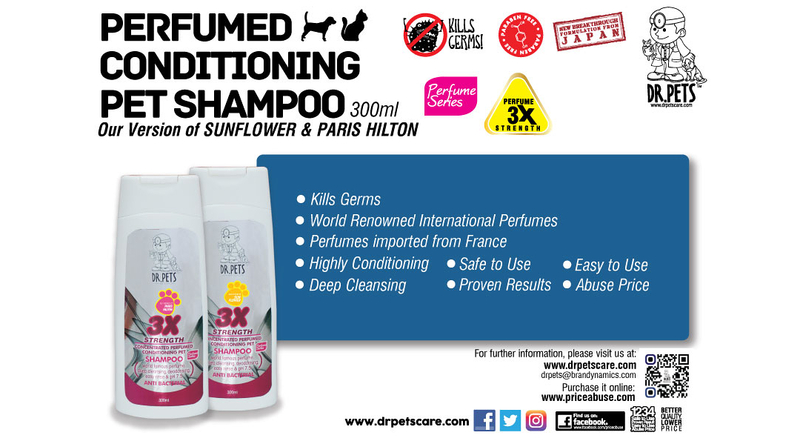 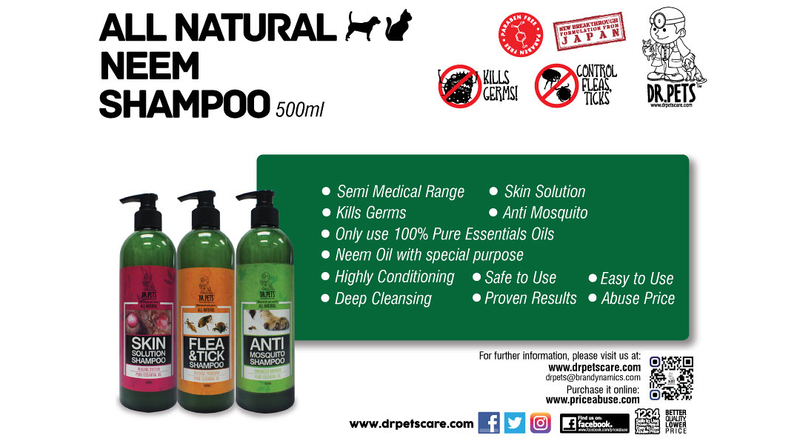 The team consist of Mr Raymond Lim Tian Yeong, who is the Managing Director, who is the Business Development Manager for both Domestic and International and Mr Andy Oshima from Japan, who is the Product Director for all pet products and services. 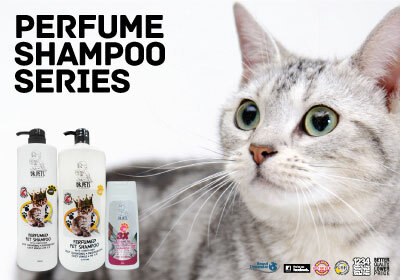 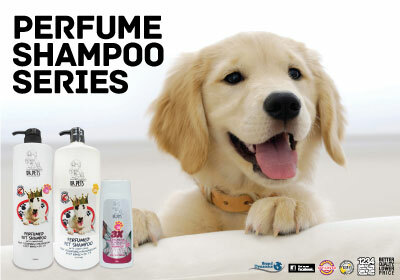 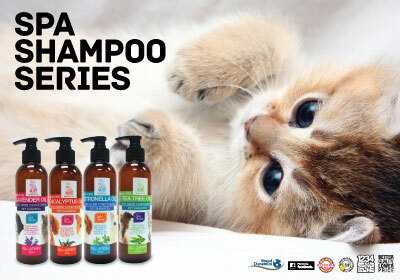 Shampoo with designer perfume that last long on your furry friend’s fur coat. 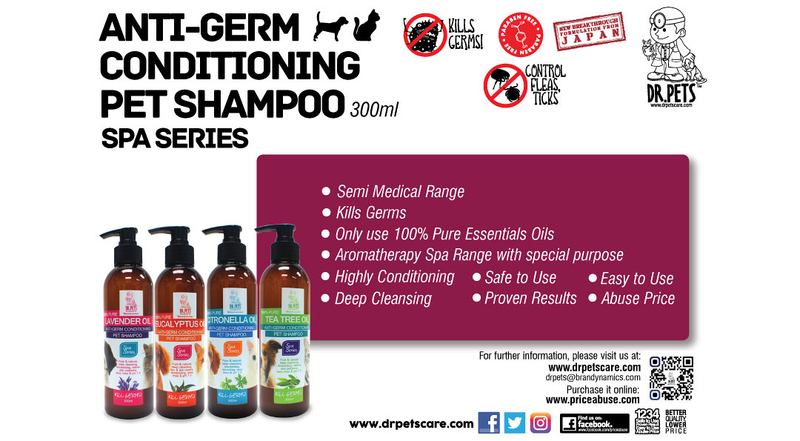 It is deep cleansing with a suitable PH of 7.5. 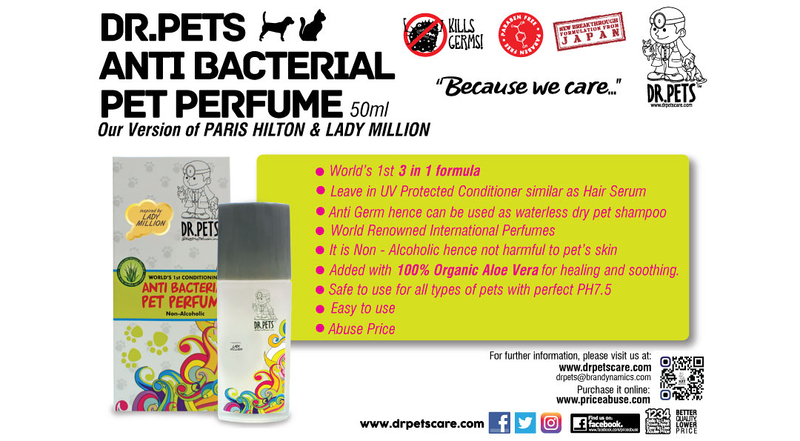 100% perfume oil imported from France. 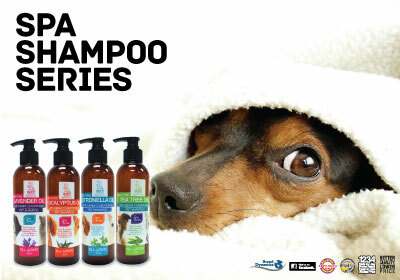 Spa series uses 100% imported natural essential oil to develop this series. 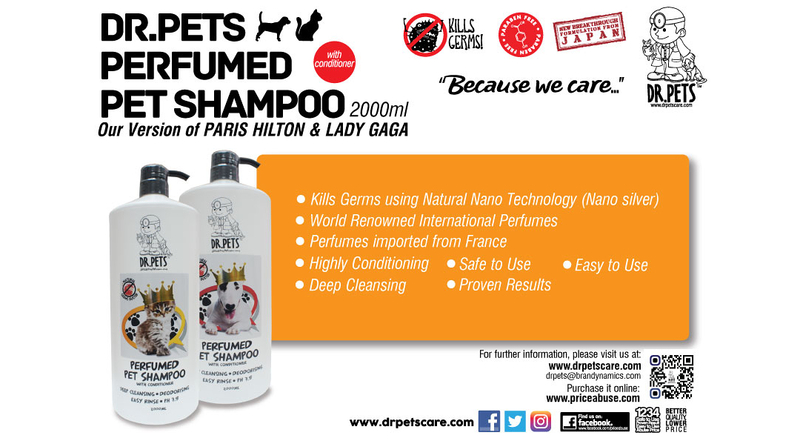 It is long lasting with the right PH of 7.5 for your furry friends. 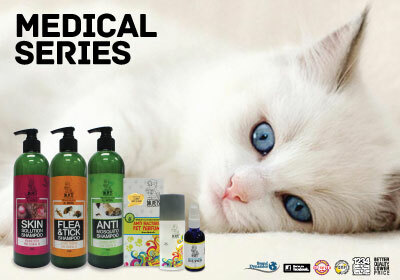 Aloe Vera active are added to increase nourishment, moisturizing and help relieve dry skins while providing additional healing properties. 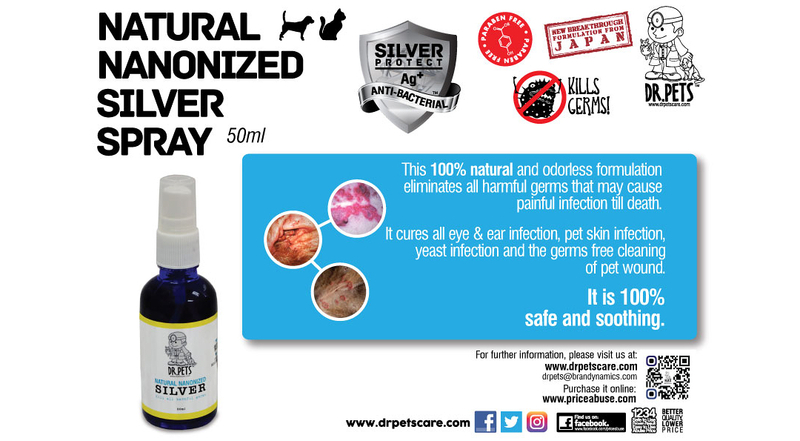 100% natural ingredient to help treat all eye and ear infection, skin and yeast infection.